Silverhill Institute supports research that is practical and relevant. As a result, our emphasis has been on publishing reports and brochures that are informative and user friendly. We thank past interns as well as friends of the Institute for their contributions. We just completed a project with Rose Avenue Junior Public School in Toronto on building a living 'green' wall in their school with the Grade 5 students! Students had an opportunity to participate in a number of educational and hands-on workshops on biodiversity, sustainability and personal action. 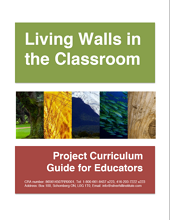 This report provides curriculum materials and a framework to follow for any schools, clubs or organizations that want to a build a living wall. This project was intended to help preserve and disseminate Indigenous Knowledge. We worked with a Knowledge Holder and other supporters from Birch Island and the Whitefish River First Nation. The project took place during three field trips-in different seasons-involved taking Indigenous youth on to the land to learn more about Indigenous Knowledge including their culture and medicinal plants. History is full of dire predictions about societal and planetary collapse. Many doomsday scenarios have been postulated. 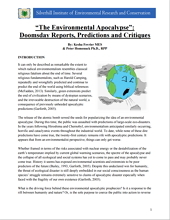 This report documents where well-known environmental doomsday scenarios went wrong and provides an understandings of how such misjudgments are made. Creating a butterfly garden is an easy way to attract butterflies and provide habitat for them to thrive. Any size parcel of land can be converted into habitat for butterflies. 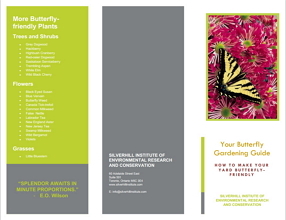 Use this guide to select plants and design an environmentally-friendly garden that butterflies will love! You can see thousands of beautiful hummingbirds migrating every year past Southern Ontario. 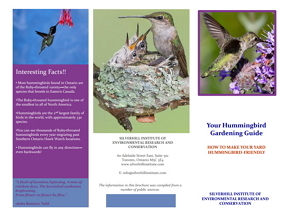 Use this brochure to learn more about selecting the right species of plants to make sure that these birds land in your backyard! 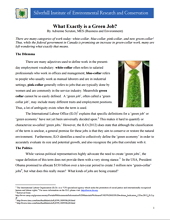 Living walls are vertically constructed gardens suitable for the interior of a building. They are relatively simple installations that can greatly enhance the quality of a space. 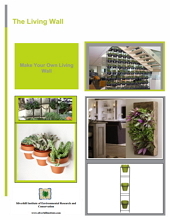 This brochure provides a guide on how to construct your own indoor living wall so that you can start enjoying its benefits immediately. 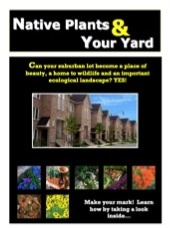 Do you have green space that you would like to personalize, but you do not know where to start? This brochure is intended to provide advice and direction to individuals and families in new suburban developments on how to personalize their residential spaces. The advice is environmentally appropriate and cost effective! 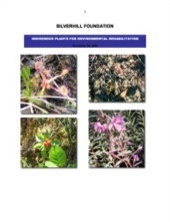 Indigenous Plants and Mining Restoration by Pakki Chipps, Ph.D.
What can First Nations teach us about plants and remediation? 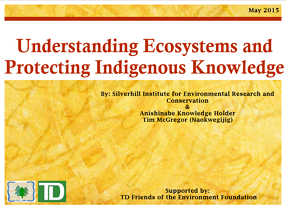 This report draws extensively on First Nations' traditional knowledge to reinforce the environmental importance and social and cultural significance of using indigenous species for remediation. The geographic focus of this document is Northeastern British Columbia. Dr. Chipps, an ethnobotanist, is a member of the Beecher Bay First Nation on Vancouver Island. Indoor plants are an inexpensive and natural way to improve the air quality of your home and office space. 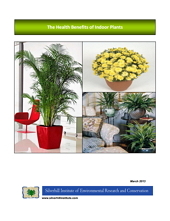 This brochure provides recommendations for selecting plants that suit your space and improve the air that you and your family breath.